[THE FACT] Key and Minho, members of the group Shinee, is entering military services during the first half year. 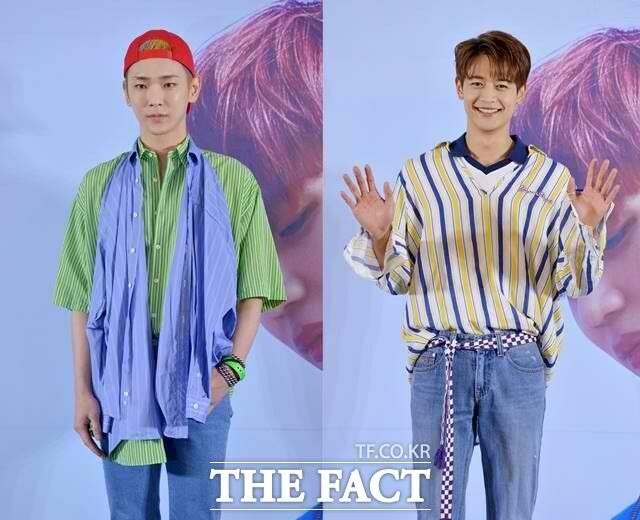 SM Entertainment announce to <THE FACT> on the 17th that “Key and Minho have plans for military services this first half year but there’s no specific date yet”. If the two members enters army, 3 members are vacating the group Shinee, including Onew, who entered on the 10th of last month. The entry of the youngest member, Taemin, no not sure yet. Minho has finished his shooting recently for the movie ‘Jangsari 9.15’. Then starting February 16, he is holding fan meetings in Tokyo, Japan on 23~24th, Bangkok, Thailand on March 2nd, and Taipei of Taiwan on the 3rd. Key’s movie ‘Hit-and-Rn Task Force’ is coming soon. And he also released his first full solo album ‘FACE’ last year November and has released ‘Hologram’, a solo album as well, in Japan. The two members had their debut in 2008 as the group Shinee and released hit songs such as ‘Replay’, ‘Ring Ding Dong’, ‘Lucifer’, ‘Sherlock’, ‘Everybody’, etc.